How will I receive my e-tickets? You will be sent a confirmation email and an email entitled ‘Your E-Ticket’ with your e-tickets attached as a PDF. The tickets will appear as one attachment and when you open it you will see you have one ticket per person. If this is not the case, please contact us. How do I use my e-tickets? All you need to do is open the PDF and show your e-tickets on your smart phone to a member of FOH staff upon arrival at the theatre. Please ensure that the screen brightness is all the way up to help the scanners pick up the QR code. Alternatively, you can print a paper copy to bring with you if you prefer but we ask you to think of the trees before you do. When you enter the auditorium, one of the members of our FOH team will scan the QR code on each individual ticket. I don’t have a smart phone. What should I do? You can print the e-tickets from any computer/printer in advance of your visit. Alternatively, we can print your e-ticket on recycled paper stock when you get to the theatre. I would prefer paper tickets. Is that possible? 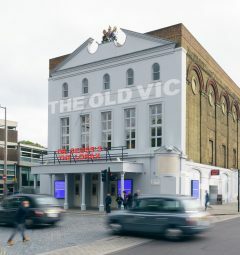 The Old Vic is working to become more sustainable and we ask you to use e-tickets if possible. If you cannot then we can issue paper tickets that have been printed on recycled paper stock. I have a group booking. Will I be sent e-tickets for everyone? For group bookings of more than ten people, we will send you recycled paper tickets, or you can collect them at the Box Office. I haven’t received a confirmation email, or an email with the title ‘Your E-Ticket’. What should I do? Have you checked your junk mail folder? If you can confirm that we have the correct address for you, we will resend the email. Please note, if you find the original e-tickets, these will now be invalid for entry. I have lost the ‘Your E-Ticket’ email with my e-tickets attached. What should I do? Please contact our box office team and they will resend it to you. Please note, if you find the original e-tickets, these will now be invalid for entry. How can I give these tickets as a gift? Please simply forward the confirmation email with the e-tickets attached to the recipient. Thank you for exchanging my tickets for another performance. What should I do with my original e-tickets? Please just delete the original confirmation email and ‘Your E-Ticket’ email. These tickets are no longer valid and will not be recognised by our entry scanners. I have purchased a programme and drink at the same time as my ticket. How do I claim these? If you take your e-vouchers to the Merchandise Kiosk, you will be able to collect your programme(s) and will be given your drinks voucher(s) to exchange at any of our bars. I can’t find my ‘Your E-Ticket’ email with my e-tickets attached. What should I do? Please see our Box Office team and they will be able to resend it to you. Please note, if you find the original e-tickets, these will now be invalid for entry. One of our party is running late and may miss the start of the performance, but I have all the e-tickets on my phone. What should we do? Please see the Box Office team who will arrange to have a recycled paper ticket waiting for them when they arrive. Why isn’t my ticket scanning? Very occasionally we experience technical difficulties with our scanners. Don’t worry – the FOH and Box Office teams will be happy to assist. I’d like to leave the auditorium during the interval. Will I need to show my ticket for readmission? For security reasons, you will be asked to display a valid ticket in order to re-enter the auditorium. 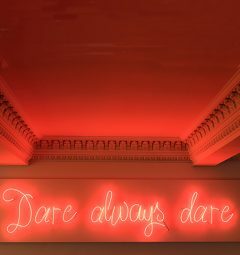 If you are not the holder of your e-ticket (i.e. if your ticket is on a companion’s phone), our ushers will issue you with a recycled re-entry ticket when you leave the auditorium, to hand back when you return.